Looking for a clean energy supplier in Connecticut? There are good reasons to make the switch to renewable energy in CT, and with Community Energy, making the move is much easier than many people think. This article is an overview of why Connecticut residents conscious of their environmental impact should consider switching electricity providers. Why should you switch to clean energy in CT? Natural gas, which includes shale gas, has its problems, as we have pointed out. In addition to the carbon pollution impacts associated with mining and burning shale gas as a fuel, there are other environmental impacts associated with its extraction, including potential groundwater contamination. Natural gas is therefore, at best, a ‘transitional fuel’ that can buy us time until cleaner technologies are brought online. At worst, its use could very well be exacerbating the plight that the planet is already facing. Nuclear power, while admittedly cleaner in terms of CO2 emissions, has a slew of other issues that would need to be overcome in order for it to be considered a truly sustainable means of power generation. The most worrisome of these is the issue of the storage of spent fuel, for which no workable solution currently exists. 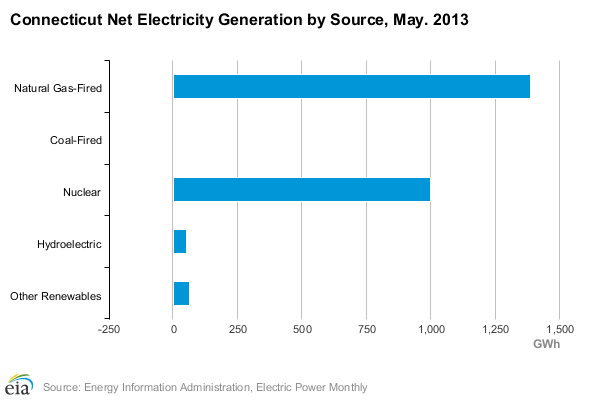 As of 2011, only about 2% of Connecticut’s electricity came from renewables–mainly hydropower, biomass, and waste-to-energy, but the proportion is growing. Solar and wind power currently remain only a tiny fraction of the power generated. The state does have a renewable energy target of 20% by the year 2020, but residents can help CT get there faster by making a voluntary switch to a clean energy supplier. The more households and businesses that make the switch, the more renewable energy plants can be built–wind, solar and beyond. Community Energy is a leading developer of renewable energy projects across the northeast, allowing us to provide clean energy to customers anywhere in the region. 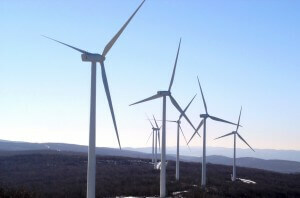 Among our most noteworthy projects are the Bear Creek Wind Farm and Keystone Solar Project in Pennsylvania, and the Jersey-Atlantic Wind Farm off the coast of New Jersey. We also have numerous other wind and solar projects in other states, and are constantly adding more projects to our portfolio. How much will it cost for Community Energy to supply me with clean power? Connecticut residents can make the transition to clean energy for at little as $5/monththrough Community Energy.Signing up only takes a few minutes. Get in touch with us today to learn more about how it works: 1-484-654-2470. Are solar panels an option for my home in Connecticut? Solar power is a great option for those who want to reduce their reliance on electricity from the power grid and to save money on home power bills. Fortunately, Community Energy has teamed up with US solar installation leader SolarCity to help our customers go solar. Zero-down ‘pay as you go’ solar leasing options are available in addition to purchase options.